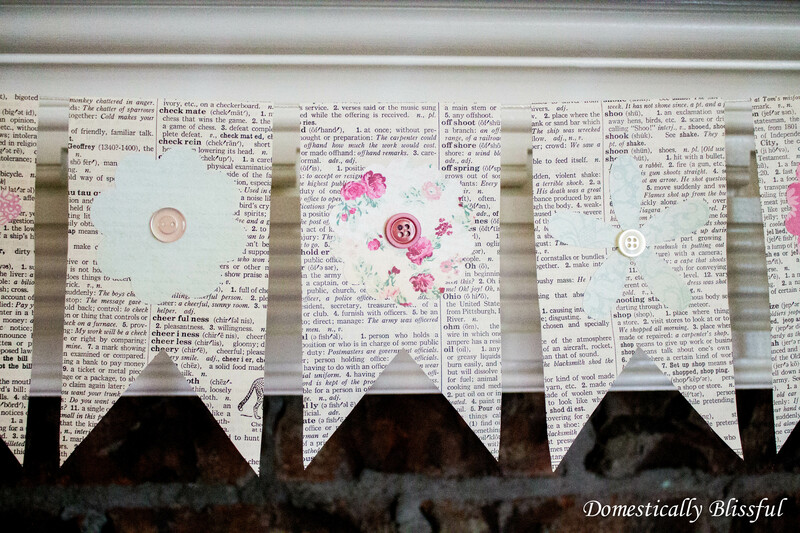 To make this Spring Book Page Banner I made a special trip to Hobby Lobby to get some new scrapbook paper. My trip couldn’t have been any better timed! The paper section was 50% off! I was super excited because that meant I got to keep my 40% off coupon for something else. So if you go to Hobby Lobby for some spring paper and it isn’t 50% off anymore I would definitely suggest using their online coupon. Sadly, the stamp I wanted to use my 40% off for was still out of stock when I visited… That just means I will have to go again! Oh bummer! Outside of grocery shopping the only place I go shopping is Hobby Lobby. I seriously love Hobby Lobby, especially since they always have great deals for those of us who are on a very tight budget! Loose book pages – Check Craigslist and used book stores for free books. Buttons – I buy all of my buttons in mason jars from antique stores and flee markets. First, trace the banner template onto the book pages and cut them out. 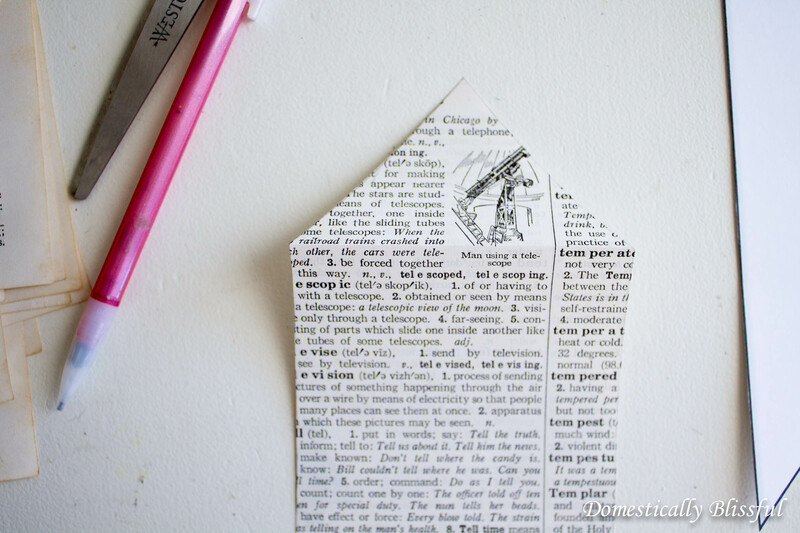 Fold over the top triangular part to make the top flat – square like. 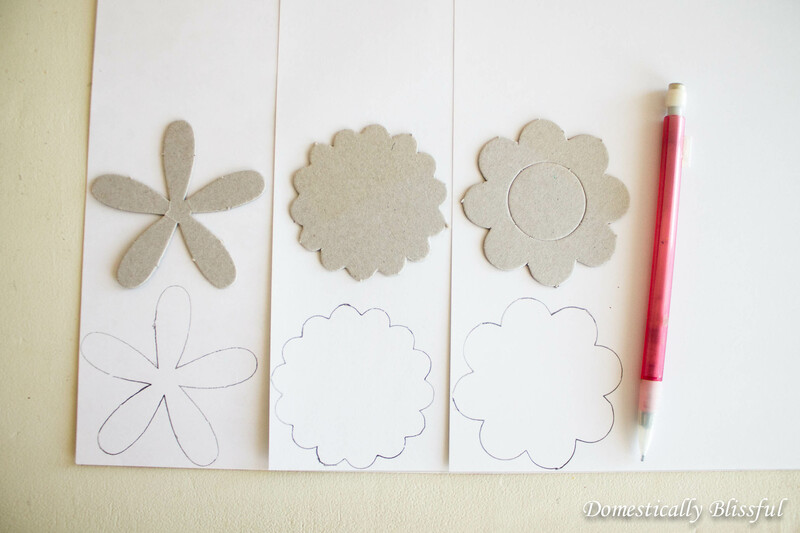 Next, trace the flower stencils onto the back of the spring scrapbook paper and cut them out. 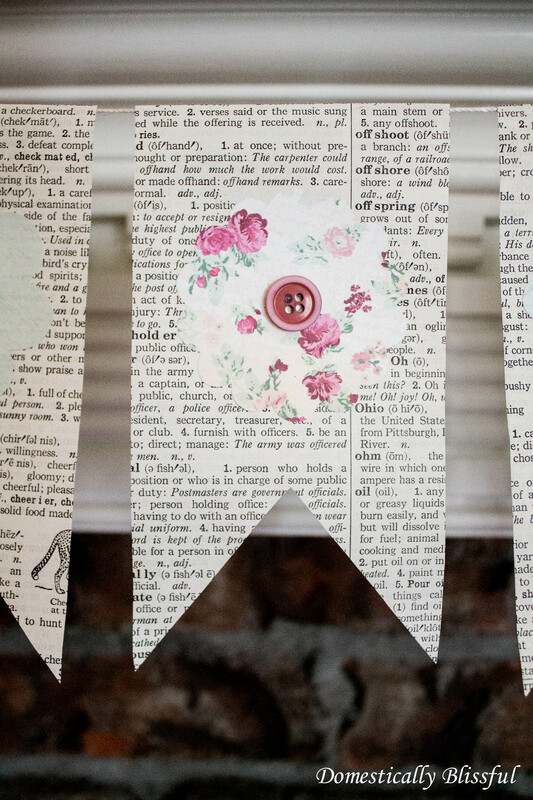 Using a glue stick, glue the flowers to the center of the banners. Then hot glue the buttons to the center of the flowers. 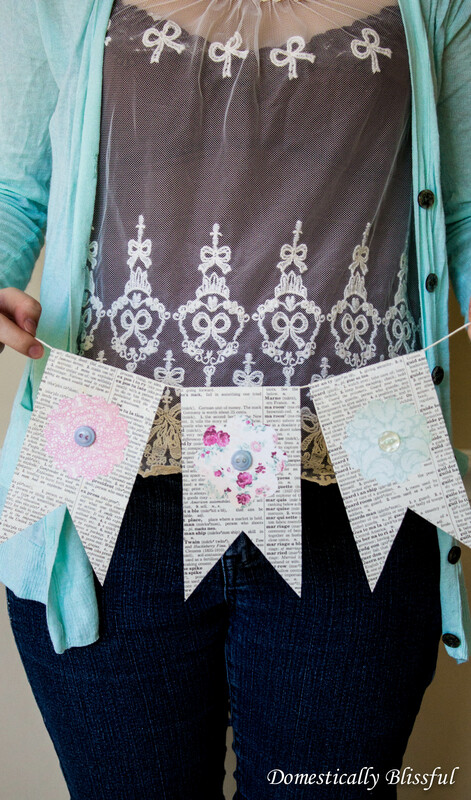 Cut the string to your desired length then attach the banners by placing the folded tops over the string. 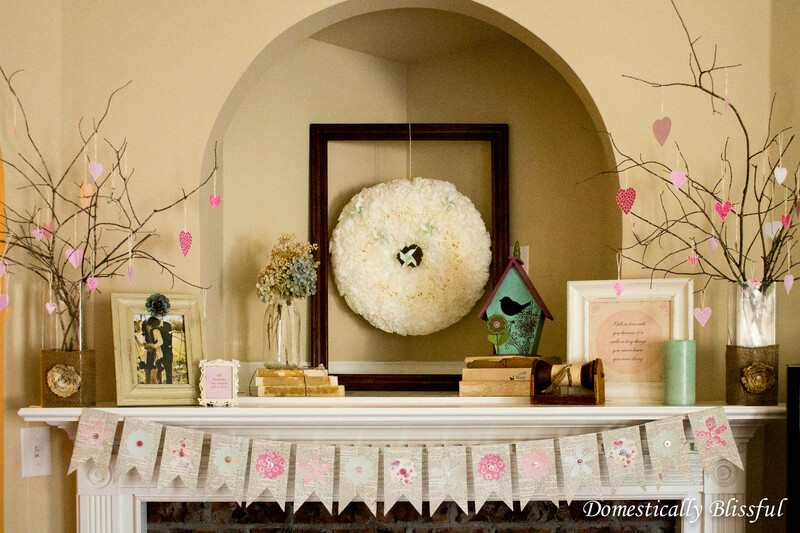 Place a dot of hot glue on the corner and press it flatly against the back of the banner. 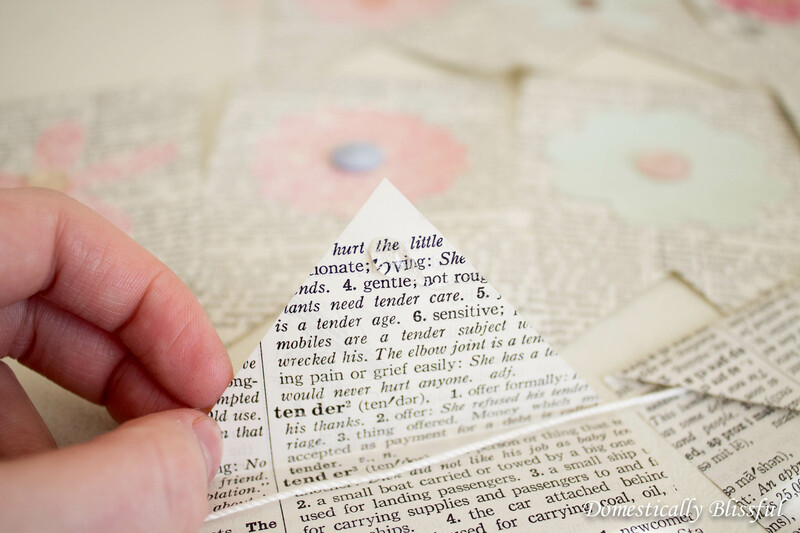 Continue to do this until all of the book pages are assembled and attached to the string. 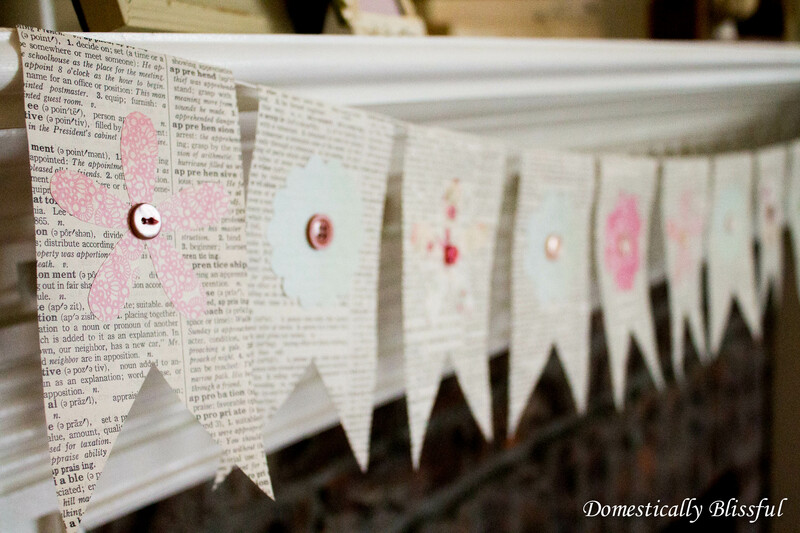 Place your Spring Book Page Banner on your mantel, your door, or on your fence for an outdoor spring party!